Cerro Porteno played out a 1-1 draw in the first leg at home to Atletico Nacional. A key question hangs over the definition of the finalists in the Copa Sudamericana, the continent's Europa League equivalent. How will the little guys cope with the pressure of the big occasion? In one corner are established giants Atletico Nacional of Colombia, champions of this year's Copa Libertadores and thus the reigning champions of South America, and 2014 predecessors San Lorenzo of Argentina -- both of which are battle-hardened outfits accustomed to the international spotlight. In the other are two teams battling to reach their first continental final: modest Chapecoense from the south of Brazil, a club whose genuine domestic first division experience (there were times in the 1970s when Brazil's top flight included 90 clubs) is limited to the last three years; and Cerro Porteno of Paraguay, a local giant who have never got beyond the semifinal hurdle. Cerro's traditional rivals, Olimpia, have won the Libertadores three times. However, Cerro Porteno have never got to a decider. They have fallen in the semifinals of the Libertadores on six occasions -- in 1973 and 78, when it was carried out on a group basis, and in 1993, 98, 99 and 2011, when they went down on the home and away format -- as they did in the semis of the 2009 Sudamericana. Now they stand 90 minutes away from finally making it through to a final. Both games stand all square at 1-1 after the first legs three weeks ago. Chapecoense came back from Buenos Aires with a draw against San Lorenzo, and now look to press home an advantage in front of their own fans. 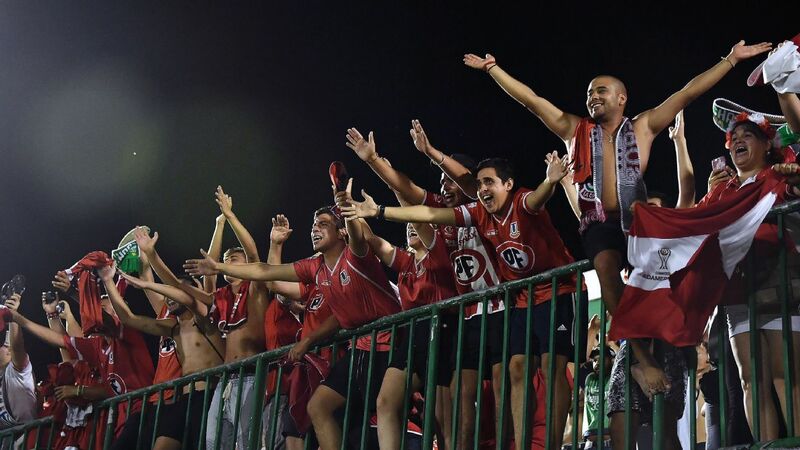 Cerro Porteno's task is harder: They were held at home in Asuncion, and now face mighty Atletico in Medellin. But the Paraguayans have one thing in their favour. If this, as right-back Raul Caceres has said, is "the most important game of our careers," the same does not apply to their Colombian opponents. Nacional are victims of their own success, caught up in such a fixture pile up that the Sudamericana is almost an inconvenience. Chapecoense forward Bruno Rangel, left, vies for the ball with San Lorenzo's Franco Mussis. The big one for them is next month's Club World Cup, when they will be representing South America. They have just won the Colombian Cup. And they are in the fight to win the league title -- a competition with a playoff format that is now at the quarterfinals. Over two legs, starting on Sunday, Nacional will now face Bogota giants Millonarios. It is a clash of the two most famous clubs in Colombian football, and it is attracting far more attention than the Cerro game. 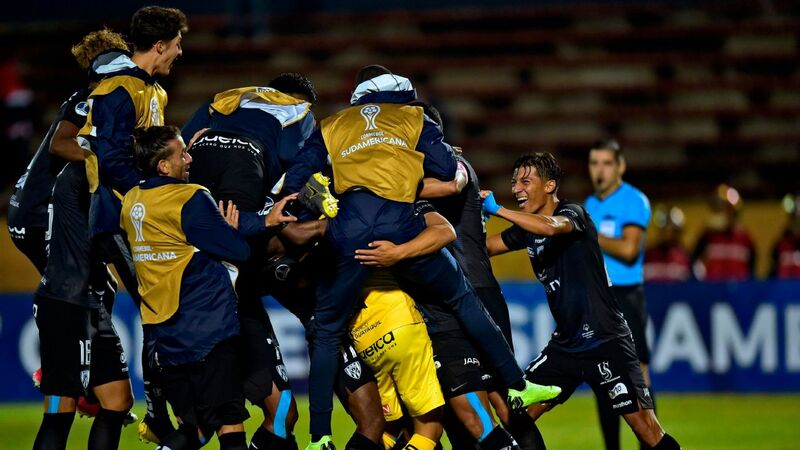 The games are stacking up so much that the Colombian league have announced three different calendars for the closing stages of the competition, all dependent on how much progress Nacional make in the Sudamericana and on the home front. The Colombians, then, might be forgiven for taking their eye off the ball. Can Cerro Porteno take advantage? Much depends on whether the single-minded focus of the Paraguayans is a curse or a blessing. It was the former in the first leg, when, overhyped, they were all heat and no light. Despite taking the lead with a harsh penalty and seeing their opponents down to 10 men just after half-time, they never found the composure needed to play their way through the Nacional defence. The Colombians will be without star centre-forward Miguel Borja, who picked up that red card in the first leg. But even so, they will hope to wear Cerro down with their possession game, and wait for the Paraguayans -- who must score -- to overcommit. Chapecoense, meanwhile, are not only fighting to get through to their first final, but also to be the first Brazilian team to reach a continental decider in three years. The last one was Ponte Preta, beaten by Argentina's Lanus in the 2013 Sudamericana final. This is an extraordinary tale of failure, bearing in mind the 2014 World Cup investments and the financial advantage that Brazilian clubs enjoy over their continental rivals. But it is the Brazilian side who are in the stronger position. With the away goals rule in operation, San Lorenzo must score. And once again, they are without suspended star midfielder Fernando Belluschi. Chapecoense can afford to sit back and break at pace, hoping to exploit the ageing legs of Fabricio Coloccini and Matias Caruzzo, the San Lorenzo centre-backs. But this type of occasion often brings the combative best out of experienced Argentine sides. So can Chapecoense play to potential on their big night?